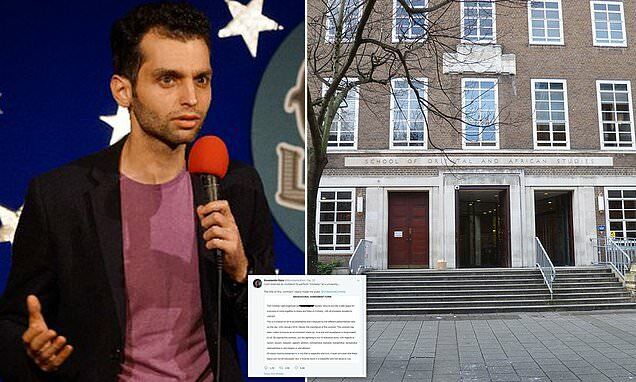 A comedian has pulled out of a student charity event after being asked to sign a contract banning him from being offensive about almost anything. Konstantin Kisin was sent a 'behavioural agreement form' which stopped him telling jokes which were not 'respectful and kind'. Student leaders said the ban was necessary to preserve the event as a 'safe space' and a place for 'joy, love, and acceptance'. Mr Kisin was one of four comedians invited to perform unpaid, with proceeds going to the UN children's charity.